Just kidding. If there is one thing about this blog's schedule that is consistent, that is its inconsistency of schedule. There has been this irregular tradition of looking at what kind of people (read "computers") chance upon my little corner. 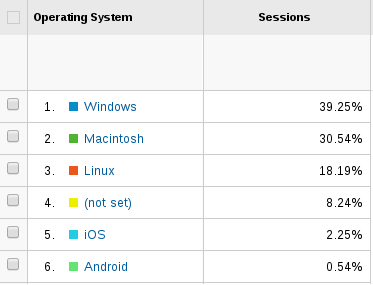 In its latest iteration, we see a surprise surge in visits from the Cult of Mac! 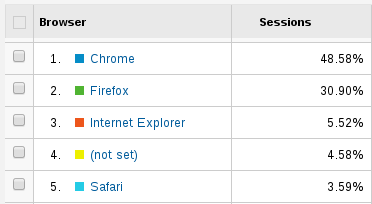 Also, Chrome has finally dethroned Firefox at the browser helm, over two years after it did so in the world's wider web. Well, how have the interwebz shifted over the years then. We see quite a few interesting trends as time passed by. This is the 4th such post, so let's see how the balance has shifted over the years. 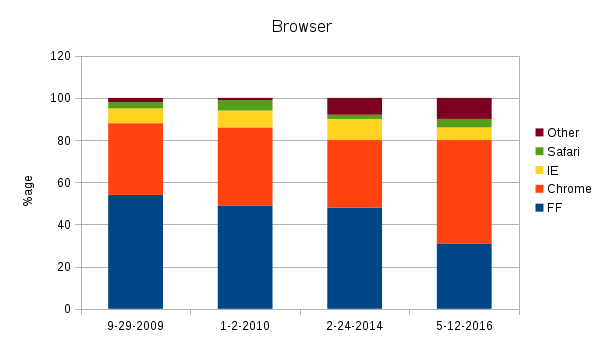 Since its early days, Chrome users had held their own in terms of traffic. 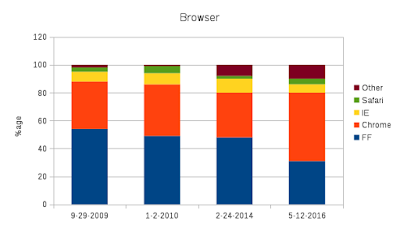 In the last couple of years, however, it has grown from lingering in Firefox's shadow to claim its place under the sun, while IE, almost always on the verge of a comeback, will likely never quite catch on in these parts. Also of note is the "other" section, fuelled almost entirely by esoteric KHTML and Dilo-like renderers in the early days, but replaced by more simplistic, yet consistently growing mobile-based alternatives. 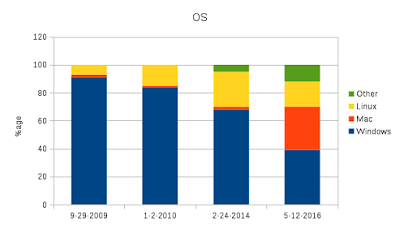 Speaking of mobile alternatives, the practical absence of mobile visits can be better visualised by the OS share variance with time, with "other" accounting for a humongous 0 percentage points during the earlier years, while growing to a healthy 10% in recent times. 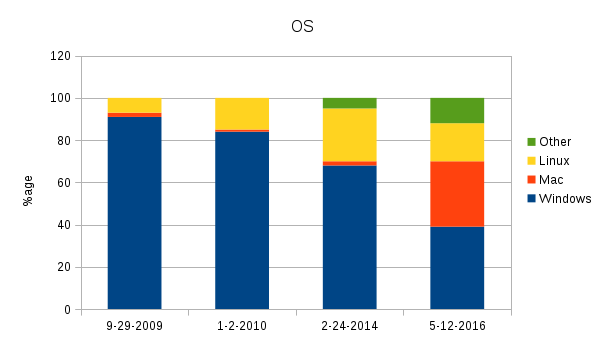 Given it's FOSSy leanings, Linux-based user-strings have always been over-represented for this blog that for the web-at-large, but the sudden spurt in Mac visits is an unexplained surprise, which may or may not be explicable by the proliferation of "cheaper" Macs like the Air, the Mini and the Pro non-retina.